Melinda purchased and reviewed Ted's book in December 2014. Sadly, Ted was less than grateful for her review, which was detailed and brought in further relevant information and insights on the Orland book as a history or as an intelligent study of photography. The only original responses, then and now, have been anonymous. Two handles have been used, but these could have been penned by the same individual. The first two responses were from "The Range of Light." This individual's responses are at the bottom but were entirely unresponsive to the points made. Recently, 'san franciscan', posed short review has been published, also below. Anonymous recommendations should raise questions as to the motive of the individual posting. 2.0 out of 5 starsSuggestion for a more accurate title - "The Photograph as Art in Yosemite from 1880 - 1918." Published by the Image Continuum Press, no date for publication. Orland's book, "Man & Yosemite, A Photographer's View of the Early Years," fails badly as history, leaving out significant figures who shaped the early years after the Western discovery of Yosemite. In this he clearly is following the lead of his mentor, Ansel Adams. Adams, focusing on Muybridge and Fiske, has managed to skew the public perception both of Yosemite's early history in photography and substitute a focus on the self-conscious expression photography as 'art.' In so doing those who, such as Orland, who see only an avenue for their own ego fail to see the creative force in humanity which is responsible for our forward motion for more clearly understanding ourselves and the world around us. The explosion of developments in every arena for human knowledge was impacted by photography. These include physics and medicine, which were recalibrated when it became possible to see the worlds once beyond human sight. Its edge developments for impacting human understanding remain significant today in the age of the ubiquitous 'Selfie," shot by children and baboons. Without the transformational technology of photography the erstwhile photographer would still be using a pencil and paper or oils. Other forms of art using a variety of technologies have far longer and deeper roots. The copy of Orland's book, referenced here, is in the possession of this writer. It was purchased at the Yosemite Visitor's Center new for $10.00. While no publication date was provided a cursory search of the Internet provides the date of 1985. Written from the perspective of photography as art, the book, supposedly about the history of early photography in Yosemite is a brief survey of photographers in the 1800s with only the last four pages brushing briefly over the fewer than ten photographers who ran businesses in Yosemite Valley during the referenced period of time. Instead of the pretentious title chosen, "Man & Yosemite, A Photographer's View of the Early Years," Orland should have titled the book. "The Photograph as Art in Yosemite from 1880 - 1918." This would have been a more honest title, allowing potential readers to determine the short volume's real framing. George Fiske, in Orland's opinion, was the only photographer whose work had merit as art. This approach to the subject naturally ignores the purpose of photography, which was not to become the tool of expression for the self-referencing but a means by which people could view reality. These two purposes can conflict. In the first the point is the photographer. In the second, the photographer works to remove himself from the picture, not attempting to interpret what is seen. While today we have accepted that photos can be manipulated to show what is not there the technologies original intention was to leave little doubt on this issue. Even the last four pages of the book, dedicated to photographers who had studios in Yosemite, is fatally flawed. 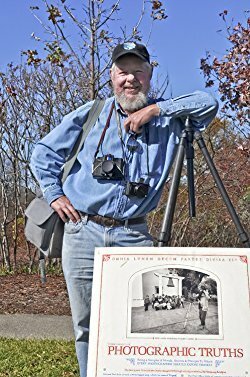 Since Orland's book purports to be historic it must also be noted that he names Boysen as the next resident photographer, entirely missing the earlier claim by Daniel Joseph Foley, who opened the Yosemite Falls Studio in 1892, running it until his death in 1934. 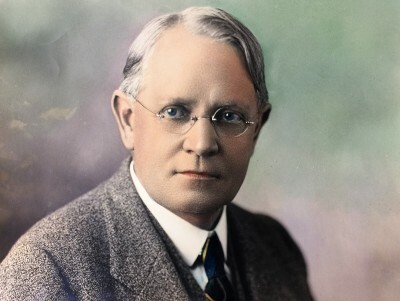 Foley was also a newspaper publisher and editor. Additionally, it was well known by Yosemite historians that the first Boysen Studio, started in 1897 was originally a partnership between Julius Boysen and Pillsbury. Pillsbury sold his share, which included hundreds of his own Yosemite photographs, to Boysen when he decided to take his circuit panorama to the Yukon and record the opening of the mining fields in 1898. The Orland book is more of a booklet, ending at 80 pages before the list of Illustrations and Additional Sources. The book lacks both a list of chapters and possesses no index. It is clearly not a serious attempt at history. Daniel Foley was primarily a publisher who took and sold photos and post cards and prints in addition to his main business. Foley's business, which was publishing, produced both a guide to Yosemite, titled, "Foley's Yosemite Souvenir & Guide," and a paper, "Yosemite Tourist." The Foley Guide was well written, carrying advertisements, photos, a compilation of essential information, and other useful material. It was clearly the work of a professional writer, lacking the stilted and lack-luster writing usual in government publications. "Yosemite Tourist," was a weekly newsletter which allowed tourists to keep track of arrivals and news in the Valley. Orland ignores the significance of Pillsbury and Foley, two figures who played large parts in the development of Yosemite and its popularization as a icon now known around the world. Additionally, Orland ignores the photographic inventions and innovations which took place in Yosemite, shaping public perception of its beauties which came from the work of Arthur C. Pillsbury. Pillsbury's panoramas of Yosemite opened human eyes to the magnitude of its unique geological formation. Pillsbury, whose training was in Mechanical Engineering at Stanford University, built the first circuit panorama camera there as his Senior Project, leaving when his senior adviser told him the design would not work. Pillsbury built the camera, which worked. The first day photos of the San Francisco Earthquake and Fire were taken with this camera as were the panoramas showing the opening of the mining towns in the Yukon. Pillsbury has been described as a Renaissance Man, one who used the technology of photography as a tool to advance the understanding of nature and the parallel need for preservation. This is no where better demonstrated than his use of film to take nature to people around the world. Pillsbury produced, and showed the first nature movie at his Yosemite Studio in 1909. In 1912 Pillsbury built the first lapse-time camera to reveal to human eyes the motion of a flower blooming. Short features began appearing in movie theaters in the late 1910s, as Pillsbury's lectures awakened interest in preservation of the natural world. Pillsbury's last invention while still a concessionaire in Yosemite was the invention of the first microscopic motion picture camera in 1926 - 1927. Orland clearly did no research on either man or their businesses in the Valley while at the same time asserting they lacked "artistic merit," a statement unsupportable by the facts and not even supported by his mentor, Ansel Adams. In a letter written in response to the discovery of Pillsbury's photographic collection in Utah by an historian named Rell Francis Adams said, "Thank you very much for your interesting letter of October 19th. I knew Mr. Pillsbury very well indeed when he had his studio and shop in Yosemite where he had developed his lapse-time photography of flowers. Mr. Pillsbury was an extraordinary man and I think his contribution to photography has been overlooked." Harry Best is also treated with less than the dignity his work should demand. The mention is limited to, "The other story briefly luring this ext into the twentieth century involves Best's Studio, founded by Harry Best in 1902. Best himself was a well accepted by hardly world-class painter of Yosemite scenes. His real claim upon posterity, however unintentional, results from the unlikely concordance of having a photofinishing service at his Studio, the only piano in Yosemite Valley, and a stunningly beautiful daughter named Virginia." This resulting in the conversion of the Best Studio to the Ansel Adams Galley some decades later obviously excited the author. Before mentioning the photofinishing service Orland might have forgotten Adams mention of having his first roll of film developed at the Pillsbury Studio and the neglect by Adams to mention he received his training in photography while working for Pillsbury and during the workshops routinely held at the Pillsbury Studio. This is naturally why Adams was well acquainted with Pillsbury. The list of Pillsbury accomplishments in photography dwarfs that of all Yosemite photographers combined. Along with producing more photos, running a business which sold a broad variety of products using photographs, Pillsbury also both made and showed the first nature movie - in 1909 - For its time the production was stunning. In 1912 Pillsbury designed and built the first lapse-time camera for plants, showing the first film to accomplish the preservation of wild flowers in Yosemite. To overlook this is to ignore the applications of photography which brought us to present day in every field of human endeavor, science, journalism, and other extension of technology. Pillsbury had recorded the growth of 500 of the estimated 1,500 wild flower species in Yosemite before the fire which ended his time there in November of 1927. The arena of photography does not end with black and white stills or color. It subsumes the whole of the technology as it developed. Under the section titled, "Additional Sources" Orland manages, while writing a book explicitly on Yosemite himself manages to give only a mention to the Muir book explicitly on the Valley. "The Yosemite," published in 1912 by New York: The Century Company. Muir explicitly chose to use, nearly exclusively, Pillsbury photos. The cover is, itself, modeled on the Pillsbury photo of Mt. Watkins and Mirror Lake. Except for the Pillsbury photos in the Muir book the only others came from of a few close associates of Muir. Additionally, Pillsbury designed the first mass production photo post card machine, Patent granted 1922, designed the first microscopic motion picture camera, the X-Ray motion picture camera. Yosemite was becoming a place where science met the natural world, a potential which died when the the Pillsbury Studio burned in 1927, another event the author ignores entirely. If you buy the book, do so for the photographs. Range of Light continues to come out of the closet and inform us by his identity the motive for his unsupportable assertion on my very much on point analysis of his diatribe and attack on my motives. No reasonable person could possibly limit the value of Grandfather's work to 'scientific.' That work, outside of the beauty of his images, also gave the faltering Sierra Club the boost needed to become a viable organization. This was accomplished by applying the technology of film to their events and showing these to the public without charge to them. Grandfather's inventions remain today those which moved people to see the environment, and all life, differently. This was activism which has also been ignored. Additionally, he was one of the earliest photo-journalists. Again, this ignored. His photos included hauntingly beautiful scenes which he made available as post cards ensuring the beauties of nature were affordable to everyone who visited the Valley or elsewhere he had provided these. His body of work which still exists, is enormous, far larger than other photographers. His intention was to render nature as it is, not use photography to distort its perception. Father asked me to undertake the job of letting later generations see and understand the mission Gandfather had taken up, not for profit but because he loved nature and understood at the levels of both heart and mind that what we love we preserve. The best measure of success in any venture is how many are touched and their minds changed. Grandfather was the first to see the power of film as applied to environmental activism and to science. I am an activist. My motive is to restore the truth of my Grandfather's work and expose the truth about those who saw an opportunity for their own profit by eliminating him from Yosemite. Ms. Pillsbury-Foster's disrespect for the book that she was purportedly reviewing and for those who do not place A.C. Pillsbury in the pantheon of great photographers of Yosemite is ill-informed. Her attempt to hijack a book review in order to enhance the reputation of her grandfather, who was a very important scientific photographer, sadly, only besmirches A.C. Pillsbury's reputation. There can be no doubt as to the viewpoint of "The Range of Light." If he is not a relative of Ansel Adam's he is most likely one of his favored students, whose career was built on their association. The cited book makes pretense of being a history. How can this have any standing whatsoever when cameras which continue to shape our world and perception of nature were first built and the resulting film shown in Yosemite? The First Nature Movie - 1909, Arthur C. Pillsbury - Still today the images of nature draw us to love and protect the environment which includes all of the life on Earth. Why did the 'Park Service' ignore this Centennial? The First Lapse-Time Camera to show the motion of flowers - The impact of this camera and the films shown to hundreds of thousands of people over the next decades can be calculated by the growth of the Sierra Club in the aftermath of their failure to preserve the Hetch Hetchy. John Muir died, despondent at that failure in 1914. During those years Pillsbury was chronicling the Summer trips into the wilderness by Club members, the wish of John Muir, at the same time his films were taking nature to people around the world and causing not one scintilla od damage to the lands held in trust for future generations. Pillsbury affirmed the sentiments of Muir, never criticizing him for not seeing the better way he was building. The facts tell us the first showing of these films, for the Gathered Park Superintendents in October of 1912, resulted in the first move to preserve the wildflowers, then being subjected to mowing. Examine the impact of the microscopic camera which first revealed the reality of cells dividing to a group of scientists at Berkeley. Bewildered, they were stunned at the reality which had been beyond the scope of human vision. Arthur C. Pillsbury is my grandfather. Many appear to have wanted to ignore this and so leave Grandfather without anyone to speak of the past which threatens the livelihoods and reputations of so many. My father, Arthur F. Pillsbury, had two fathers. The first, barely remembered, died when he was only six. That was Dr. Ernest Sargent Pillsbury, the older brother of Arthur C. Pillsbury. Arthur Pillsbury adopted the three orphaned children six weeks after both their parents died in an auto accident in 1911. The adoption papers are up on our website. When I considered this point, after Father asked me to ensure Grandfather's legacy was remembered and understood, I asked my father, then in his late 80s, which man was his father in his heart. Father did not hesitate. The man who raised him, teaching him to value the world of nature, the human spirit of innovation, and the courage to go on past all adversity, was Arthur C. Pillsbury. So, The Range of Light, come out of the closet and let us know who you are. It is obvious, based on the reviewer's name and her completely off point review, that she is only out to promote the reputation of her relative, Arthur C. Pillsbury, and has only a passing familiarity with the book that she so unfairly criticizes. This is exactly the kind of egregiously self-promoting and biased reviewer who should be banned from Amazon. Shame on this reviewer and shame on Amazon. The previous review is a bit harsh. While this survey of Yosemite's early photographers and their work isn't perfect, it is very good. Yes, Pillsbury probably deserves more credit (his postcards spread Yosemite's magic far and wide). Yes, Watkins probably deserves less credit (his photos were workmanlike, but nothing more). Yes, Fiske certainly deserves more credit (he produced the finest photos of all the early photographers, plus his photos in the book "In the Heart of the Sierras" were the ones that first drew Ansel Adams to Yosemite). Yes, Taber belongs with this group, but just where is hard to say. Still and all, a good and useful book; one anyone who appreciates Yosemite Valley will enjoy. San Franciscan, who provided a comment on Orland's book on September 6, 2017, recharacterizes Orland's book as a 'survey.' A survey which ignores the most prolific photographer of the era and the one who moved Yosemite Park from a marginal economic proposition to an outright success, falls more in the category of disinformation than it does good and useful. Again, Pillsbury made and showed the first nature movie ever made at the Pillsbury Studio in 1909. He made the first nature movie using the lapse-time camera he designed and built, allowing flowers to speak directly to the eyes and hearts of t he viewer in 1912. These should have been centennial events. Pillsbury's commercial success has been unfairly attributed to a desire for profit, but, in fact, the profits from his early successes went to design and build the first microscopic motion picture camera, which changed our understanding of life in multiple ways. Photography was the technology which moved humanity from a focus on text to image, a shift still in motion today all around us. And again, the overall content reaches back to Ansel Adams, as if his photography was outstandingly different in any way than Fiske, Foley, Boisen, or Garrison, from a slightly later period. It is long past time to revisit the issue of Adam's place in history and look at the facts. These are largely available on our original website located at acpillsburyfoundation.org. Read Horace Albright's book, "The Missing Years," which tells the real story of the birth of the National Parks. Albright asked the book not be published until after his death and his reasons for this are clear. In the book he confesses to covering up the self-dealing, a felony, committed by Stephen Mather.